Need to know how to buy a home fast since you're hoping to be settled in before the holidays? Then the pressure's definitely on at this point! If you have any hope to host your Thanksgiving feast (or at least Christmas dinner) in your new digs, you've got to get the ball rolling on a home purchase, pronto. 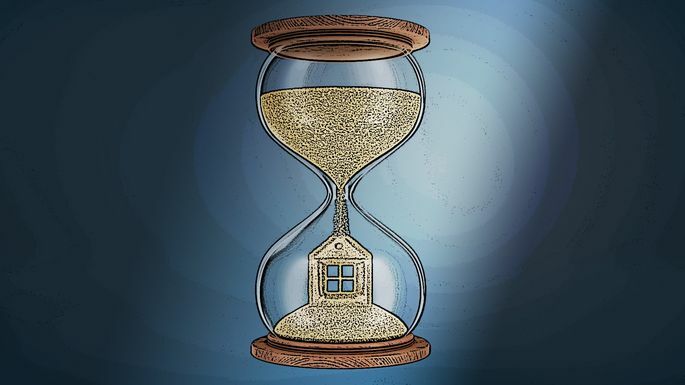 Yet anyone who's ever purchased real estate will tell you the home-buying process can be drawn out, complicated, and rife with endless paperwork—and the potential for problems to arise at a moment's notice. While all that may be true in some cases, there are certain strategies that can speed up the home-buying process. Follow the advice of these experts, and you'll be putting out your new welcome mat in no time. Honest. If you're hoping to move in a hurry, here's a word from the wise: Avoid homes that may entail an interview with their boards—namely co-ops. "Co-ops can take six to eight weeks to get a board interview scheduled, finalized, and approved," notes Phillip Salem, an agent with Triplemint Real Estate. And since many folks may be traveling over the holidays, there could be further delays. "Closings in condos and houses in new developments, even with financing, can happen in as little as three to four weeks," says Salem. "Most new developments have preferred lenders who are already approved for the building and ready to go." You may be tempted to check out as many open houses as possible, but it's more important to be strategic. Don't waste precious time touring homes that are well beyond your budget. With that in mind, your first step should be finding out exactly what you can afford. "Get pre-approved for a mortgage by a local lender—rather than big banks or internet lenders—who has a track record of closing on time," advises Aaron Hendon, a real estate agent with Keller Williams. "Most can swing a 21-day close, and that’s critical." "Unless you are so wealthy that you're going to buy your own [home] with a big pile of cash, you're going to need a home loan," Duran says. "Whether you decide to go to a bank or credit union, your lender will need to qualify you to see how much you can afford to buy." "Being pre-approved puts a buyer in a position of strength, as it will put the seller and their agent at ease, knowing that the buyer has done the heavy lifting upfront," she says. "To speed up buying a home for the holidays, buyers should start putting together all of the documents and paperwork that are usually required during a home loan review," says Duran. "The more legwork a buyer can get out of the way before starting their home search, the easier it will be to go under contract and close on a home in time for the holidays," says Ameer. "There will always be one more thing that is needed with the loan application process, but it is much easier and faster to track down one document here or there versus having to provide stacks of documents within a few-week period." "Having the right agent can make all the difference in sealing the deal, particularly in a time-critical situation," Ameer notes. "They will know how to connect the buyer to the right inspectors, contractors, and other professionals involved in bringing the transaction to closing." Once you have the right agent in your corner, don't be afraid to let the pro know what you want. "Send your agent listings you find on the internet so that he/she can get an idea of exactly what you like," says Jeannette Burke, an agent with Realty Executives in Sparta, NJ. "He can also evaluate each property and check the taxes, underground oil tanks, whether the house is bank-owned, pretty much everything." "This will also be appealing to the seller," Ameer says. "The buyer should work with their agent to propose a realistic time frame that can be met considering the entire scenario. For example, if it's normal to provide 10 days for all due diligence in a purchase situation, offering to complete it in five to seven days may be looked at more favorably by the seller and more realistic. In order to close within 30 days, loan approval may be needed in 20, which is why having all loan documents in place with the lender before writing an offer is key." "Once under contract, you want to press all appropriate vendors—inspectors, appraisers, lenders—to stay on track," says Hendon. Suzy Minken, an agent with Berkshire Hathaway, agrees. "From the initial offer stage all the way through closing, there is a considerable amount of 'elapsed time,'" she says. "If you consider how many people are often a party to the home purchase transaction—seller, buyer, two attorneys, two real estate agents, mortgage lender, home inspector—then it's easy to understand that there is a lot of time when someone is waiting to get an answer to a question or a document. And when there is a tight window of time, it's critical that communication between all the parties moves smoothly and swiftly." You may be focused on your new home, but don't forget about your current space, where your belongings will need to be packed up. "Interview movers and make sure they are available for a move before the holidays," suggests agent Maria Daou of Warburg Realty. "If you plan on painting or any kind of cosmetic work, get quotes and make sure the person doing the work will be available."